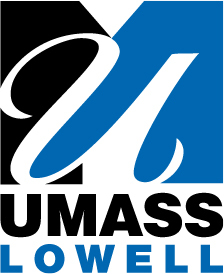 A PowerPoint presentation detailing the mission and activities of the UMass Lowell Center for Irish Partnerships. A flier calling for UMass Lowell students to participate in an archaeological dig of the Pawtucket and Merrimack canals in Lowell, MA for $1500 in tuition coverage on M o n d a y , 8th A u g u s t t o F r i d a y , 12th A u g u s t 2011 a n d M o n d a y , 22nd A u g u s t t o F r i d a y , 26th A u g u s t 2011. An administrative pamphlet for the second Irish-American Heritage Archaeological Program archaeological excavation at St. Patrick's Church in Lowell, MA that was held on Monday 8th August to Friday 12th August 2011. A Panel on Peace, Security and Education Introduction by Chancellor Meehan and Professor Paula Rayman April 11, 2012 Featuring: Linda Bishai , Senior Program Officer, United State Institute of Peace & Tony Gallagher , Pro Vice Chancellor, Queen's University Belfast Co-sponsored by: Peace and Conflict Studies, Center for Irish Partnerships, Middle East Center for Peace, Development, and Culture, Graduate School of Education and the History Department.